The practice has a manager and a team of 10 administrative staff who provide support to our Doctors and Practice Nurses. Our Practice Manager,Lesley Carter, has overall responsibility for the practice and its employees. Lesley's job as manager is to oversee the day-to-day running of the practice and ensure that high standards are achieved and maintained. 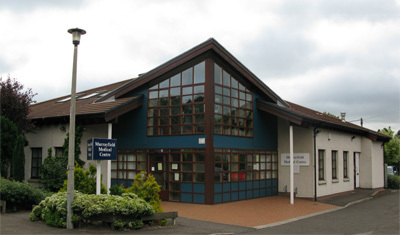 Members of the administration team work between 0800 and 1800, Monday to Friday, when they will be your first point of contact with Murrayfield Medical Centre. Each team member is experienced in carrying out a range of tasks and procedures which help to ensure the smooth running of the Practice. In some circumstances, and on instruction of our medical staff, those on reception or answering your telephone call, may ask for the reason for your appointment request - for example, for a visit at home or an emergency appointment in the surgery. This can help to ensure that the correct type of appointment is made for you but you are not obliged to provide this information. The Practice has two nurses who carry out a range of duties including: disease management clinics, health checks with existing and new patients, provision of contraceptive advice, changing dressings, administering vaccines and advising on minor ailments. Practice Nurse Yvonne Weir specialises in the care of patients with diabetes. Practice Nurse Amiko Hippisley specialises in the care of patients with asthma and heart disease. Our nurses attend courses to keep their skills up to date and stay abreast of developments in Practice Nursing. They regularly meet together and with the GPs to discuss patient care. The Practice Nurses can give advice to patients by telephone on request. Please be aware that when you make an appointment to see a nurse you will be asked a little bit about what kind of appointment you need. Staff members have been instructed to ask for this information to help them to arrange the correct type of appointment for you, with the most appropriate person. A little detail about why you need to see the nurse is helpful, however you are not obliged to provide this information. Appointments with our Practice Nurses can be made at Reception or by telephoning the surgery 0131 337 2166. Myra Robb leads the team of District Nurses and one Health Care Assistant. The team visit patients in their own homes to assess and administer nursing and health care needs. Members of the District Nursing team work closely with GPs, carers, hospitals, hospice services and social workers, amongst others, to provide a co-ordinated and holistic service to patients registered with the Practice. 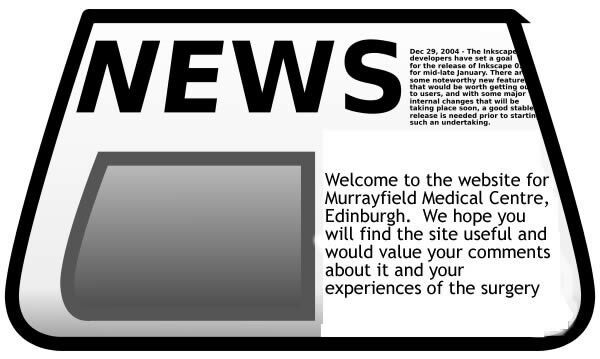 The District Nurses can be contacted on 0131 313 5085. An answering machine is available if they are not in the office; messages are checked regularly. The work of the Health Visitors focusses on young families and the elderly but they are available for all age groups. They work with Drs. Wilson and Doyle at Baby and Development Screening Clinics and work with Dr. Nickerson on our Child Health and Wellbeing programme. The Health Visitors may be contacted by phoning 0131 313 5102 between 9.00 and 10.00, Monday to Friday - at other times an answering machine will record your message. Form 28th September 2017, there will be a drop-in facility for you to weigh your baby at the surgery, in the Health Visitors room. Please let the receptionists know when you arrive and they will check that the room is vacant. This facility is available on Tuesdays, Thursday and Fridays only.